Brighton, United Kingdom, Event Information November 19 - 25, 2018 – Drjoedispenza.com - Encephalon, Inc.
"The main purpose of meditation is to remove your attention from the environment, your body, and the passage of time so that what you intend, what you think, becomes your focus instead of these externals. You can then change your internal state independent of the outside world"
Workshop Theme - "The Initiation"
Thank you for taking the time out of your busy life to be with Dr. Joe at the recent Week Long Advanced Retreat in Brighton, UK. We hope you enjoyed the experience. For us, it was very rewarding to have the privilege of working with such a focused group of individuals, who were truly dedicated to personal transformation. 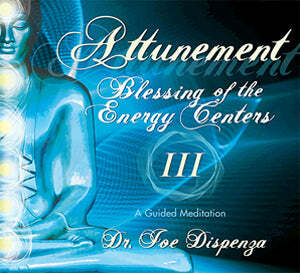 Many of you experienced significant shifts during the event as you liberated energy from your body. So pay attention as you start to notice the shifts that take place within yourself and your life. Music is an important part of the process of change. 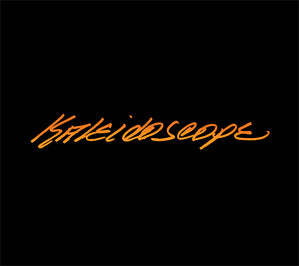 Below is a listing of the music and videos that were shared with you during the event. If you would like to purchase any of the music played at your workshop please visit our online store. Dr Joe has now created a Private Facebook Group called “Leaving the Monastery: Staying Awake in Your Dream” for people who have completed a Week Long Advanced Retreat. It will feature Facebook Live events with Dr Joe as well as homework, global meditations and post event resources! You will receive tips and reminders on how to stay connected to your future, and stay awake. Dr Joe wants to engage with you and teach you to master the skills needed to avoid going unconscious, and back into programs and emotions that bring you back to your past. Each live event, in a short 30 minute coaching session, Dr. Joe will cover a lot of content and re-inspire you to continue creating your day and staying connected to your future. Join us in this opportunity to stay connected to your Team Leaders, your community and Dr Joe. You will need to request to be added to the group. Once we have received your request to join, we will add you to the group. Please be patient while we process your request. Are you a member of our Advanced Facebook Group? We look forward to having you join our community. Here are some photos from you workshop, loving put together by our AV team. 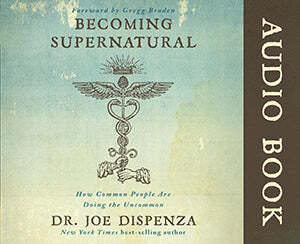 Your donation to the Give to Give Scholarship Program will benefit an applicant who, due to financial hardship, is unable to attend one of Dr. Joe Disepenza’s workshops. Scholarships help cover the cost of the workshop. To donate simply click on the Donation button below. Thank you! 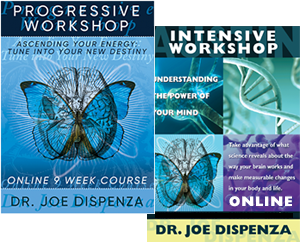 Now that you have completed an Advanced Workshop with Dr. Joe, you have access to many of our restricted products. Please click here to access.